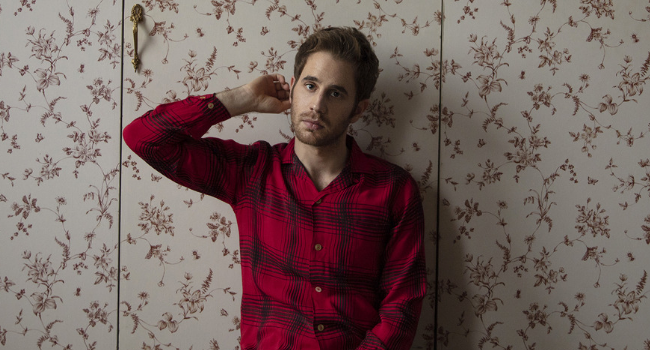 I have a problem, I can’t stop listening to Ben Platt‘s new album Sing to Me Instead. You might recognise the Tony, Emmy and Grammy award-winning star as Benji Applebaum from Pitch Perfect franchise, or as Evan Hansen in Broadway’s Dear Evan Hansen. But if you don’t know him yet, just wait until September 27th, where Ben is forefront in Ryan Murphy‘s new Netflix series The Politician. The talented 25-year-old released his first debut album on March 29th via Atlantic Records. The album is an exploration into Ben’s love life and it documents the trials and tribulations of love. But it’s so much more than that, it’s an emotional and solid collection of songs that have a universal meaning. “The album itself is an amalgam of a bunch of different relationships in my past, and the very small amount that I’ve learned while grappling with love and romance.” — Ben to Los Angeles Times. The record contains 12 tracks which feature singles Temporary Love, Bad Habit, Ease My Mind and Grow As We Go. It might be the 11th track on the album, but don’t underestimate it. Older is a powerful, relatable and revealing song that focuses on an issue everyone faces some time in their life. The song is about focusing and being stuck in the past and future, instead of just living in the present. Ben describes it beautifully as, “when you are younger, you’ll wish you’re older, then when you’re older, you’ll wish for time to turn around”. The song becomes more powerful and emotional, and Ben is not afraid to showcase his vocal range with gospel-like melodies and beautiful vibratos that will give you goosebumps. In the second verse, Ben reveals his worries and sings, “If I wait ’til my tomorrow comes, is the waiting all I’ve ever done. And will I get to, get to know myself in the place I am, get to fall in love with another man”. These lyrics are not only beautiful, but they’re also incredibly revealing. If you listen to the live version of the song below, which I recommend as it sounds exactly like the studio version, you can feel how well the audience responds to his every word. Also, it’s just incredible hearing people cheer when Ben sings “get to fall in love with another man”. It’s a statement which reinforces and reassures people it’s okay to love who you love and be who you are. “If I was going to write about people I loved, I wasn’t going to pretend they weren’t men just because I hadn’t talked about that before.” — Ben to People. It’s easy to dwell in the past and daydream about the future, but listening to Older has taught me it’s important to live in the present, as we only have one chance to experience it all. I’m sorry the old Ben can’t come to the phone right now, he’s busy being so brand new. New is the 7th track on Sing to Me Instead and it’s the perfect post-breakup song to listen to repeatedly. The song is about being reborn after the end of a relationship and becoming new again. It will have you captivated through every beat with a cheery sharp piano melody and raspy falsettos. One of the highlights of this song is the emphasis placed on the breakup, Ben sings about the consequences and how he feels with lyrics, “Somewhere in your room I left my virtue and my favourite shoes, I don’t want ’em back, never give ’em back to me. You can walk a mile in ’em, tell me how they feel on you”. If you’re listening to the song for the first time you’re in for a treat, the last 10 seconds are heavenly, and I almost fell off my chair from shock. Have a listen below. I can’t relate to this song on a romantic level, however, it resonates deeply with friendships I’ve had. It strangely documents my own feelings, with the feeling of, ‘I don’t want to leave, but I can’t grow if I stay’. Grow As We Go is an emotional plea, and it becomes stronger with the changing lyrics in the chorus, going from, “I don’t think you have to leave”, to “you don’t ever have to leave”, and finally, “tell me you don’t wanna leave”. It’s my favourite song of all time, and the music video is heartbreakingly beautiful. Check it out below. Be prepared to feel everything with Sing to Me Instead. It’s a wonderful album and there is something for everyone to enjoy. There’s the sombre ‘why is my piano out of tune’ song Bad Habit, a sweet and confessional Ease My Mind, or a highly energetic and tiny bit Crazy Ex-Girlfriend vibe song, Share Your Address. One thing’s for sure, I got a bad habit of listening to Ben Platt on repeat, and hopefully, you do too. You can download Sing to Me Instead here.